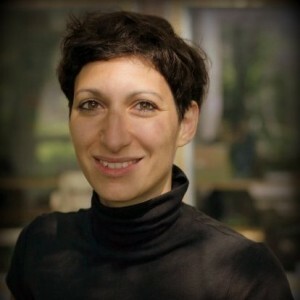 Marianna D’Ovidio is an urban sociologist based at the Dept. of Sociology and Social Research of Università Milano – Bicocca where she is working on urban cultural economy, innovation and creativity. Her research interests range from social and cultural innovation, to creativity and justice, in particular their relation with the urban space) to territorial analysis and the urban change; to micro-mobility and technology to the methodology for the urban analysis. Dr. Marianna D’Ovidio, could you please tell us what is the field of your studies? I am an urban sociologist. In particular I work on the intersection of the areas of urban economy, social innovation and cultural innovation within the urban context. I monitor how different urban contexts shape cultural innovative processes. I study cultural economy in very different realms: from “bottom up” cultural productions to the economy related to the fashion industry in big cities. I observe its mechanisms and the relationships with the urban environment, both as a social fabric as well as from the political point of view. What do you mean by social innovation? Personally, I have my own and very strict definition: for social innovation I intend those actions that trigger a process of mobilization and participation which aims to improve social relationships and the structures of governance in order to favor empowerment. So, this is a bottom up process, whose main feature is to give answers to those social needs that neither the State nor the Market can tackle. What do you mean by cultural innovation in the urban context? Can you give us some concrete examples? Cultural innovation is an integral part of social innovation. The phenomenon comes in different forms. For example, I consider the action of the Macao movement in Milan as an integral part of the social innovation movement because they started from the idea of ​​building a cultural bottom-up urban offer in a participatory and inclusive way. By doing so, they have been able to have a dialogue with the institutions. This is a very important element: in order to foster social innovation, we need the institutions to accept this kind of innovation and to support it in the highest possible terms. This is not to sa y that social innovation cannot happen without institutional openness. However, phenomena of social innovation are more likely to replicate themselves over time and space if they are welcomed by the institutions. Unfortunately, sometimes we do not have the conditions to do so: if the dialogue with the institutions ruins the process of social innovation then it becomes useless. Another example of social innovation is represented by “makers” who make use of digital manufacturing (for example 3D printers). It is not the use of the technology per se that makes social innovation possible. However, it’s very interesting because it allows to build material objects from digital information. It allows indeed the development of an economy based on production of physical things that can be done in a shared community of people who work even at a great distance because the digital parts can be spread very easily around the world. In this sense, places of collective production connected with other parts of the world that embrace the ideology of sharing ideas and products are popping up all over the world; they potentially represent a strong stimulus to the economic system and to the spread of open source technologies. In Bicocca University, together with Feltrinelli Foundation, we are studying the phenomenon of the makerspaces (places of collective production through machines for digital manufacturing) and how they can favor sustainable economic growth in the city. Having this objective in mind, we observe how they take root in different contexts – i.e. social, economic, political. A reality deeply rooted has more chances not only to show good economic performance, but it represents also an effective tool of social inclusion and cohesion. Do you think that these ongoing phenomena of social innovation at various levels bring benefits to the entire urban population in terms of social inclusion? Why? Do you believe that it’s still a phenomenon limited to a small circle of citizens? It depends on the meaning that we give to the concept of social innovation: if we use a restrictive definition, we see that today there isn’t that much in urban areas. Instead, if you refer to the most common version of social innovation as it is understood today, on one hand the concept might look empty and distorted (for example today we hear talks about social innovation even for phenomena like AirB&B); on the other hand we identity social innovation as a mobilization of very active citizen – usually belonging to the middle class – who are usually driven by specific interests or in a very limited in space (think of some “neighborhood committees”). In this case, we can easily understand that it carries a strong risk of urban fragmentation and it sets the conditions for further esclusion of the people that are not part of the active communities. What are the possible scenarios in the coming years? We can have two scenarios. We have an “optimistic” one: urban contexts in which local institutions are able to accommodate and support bottom-up projects on development and social inclusion. On the other side, we have a “pessimistic” scenario of a highly fragmented society where small groups of people protect themselves, also supported by the institutions that they helped seize political power and on the other hand a class of excluded people that will have their voice increasingly unheard. How it will evolve the “workforce” in the light of the adoption of new business models, new technologies and the recent migration, completely different than a few decades ago? This is a very difficult question and I can’t give a sharp answer. What I can say is that today I think of two axis to look at the phenomenon. On one side, we see that the content/type of work that shifts between the material and immaterial range. In my opinion, this dichotomy is very important, but that should be observed at a global scale: today there are areas where the production of material objects for the global market is located and other places where planning, design, marketing and trade of these objects takes place. On the other side, we should focus on job security and we can observe cases where the workers are hyper-protected (this is still the case for many workers in in Italy, even if there’s been a significant reduction among the new hires) and other cases where workers are not able to imagine even a future very near. In order to understand how the workforce will evolve we must take into account these two axis simultaneously. My feeling is that on the first axis, we’ll witness a polarization in two different directions: one where a convergence between material and immaterial will occur (I think of digital production, the “rediscovery” of traditional handcraft or the production of high quality food); the second where mass manufacturing will concentrate in a few areas even further. On the second axis, the polarization will continue to rise and it will move towards a model regulated by the market, where protections will fall on individuals rather than on a social class. In addition, the polarization between workers will be increasingly fueled by strong waves of immigration that on one side will bring new skills and knowledge, but on the other side, it’ll bring workers that will be forced to move into the black economy and to work in illegal and underpaid sectors.